Looking for additional storage space? 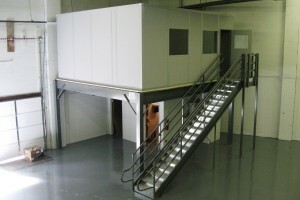 Grace Material Handling has storage mezzanines to solve all of your storage needs quickly and affordably. Are you short on office space? 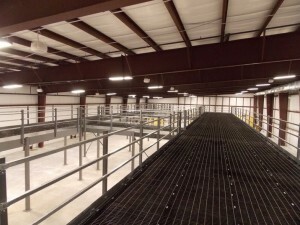 We specialize in providing custom mezzanines to create additional office space in warehouses, retail space, and other locations. When you are in need of more work space, a work platform is the perfect solution. 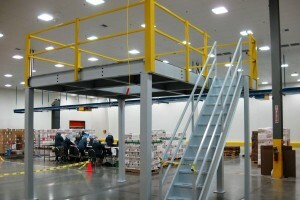 A work platform can double your space and save you a costly relocation. 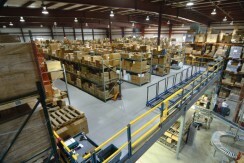 Use a mezzanine from Grace Material Handling to create a walkway to safely access all areas of your warehouse without using valuable floor space. Is your health club or fitness center in need of extra space for more exercise equipment? 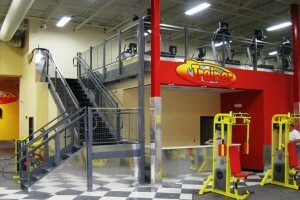 A health club mezzanine is the perfect solution.